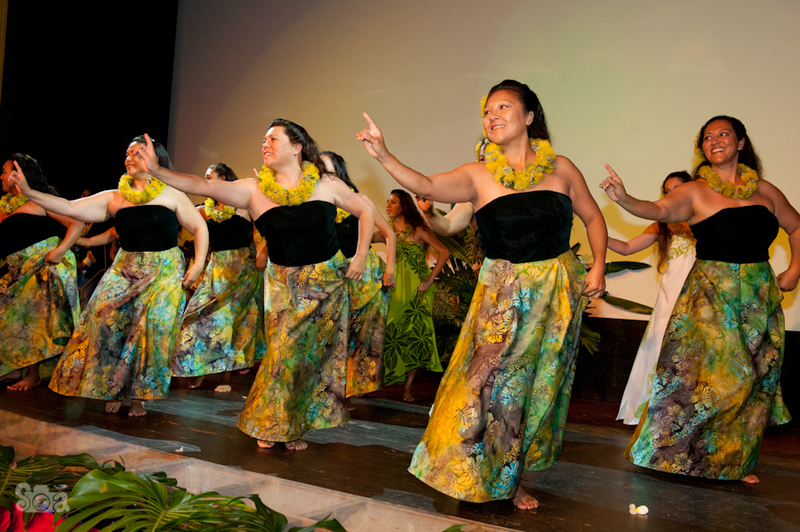 How a school of fish is one creature, even though it is really made of individuals- that’s what Helele’i Pua O Waipi’o’s dance looked like to me. 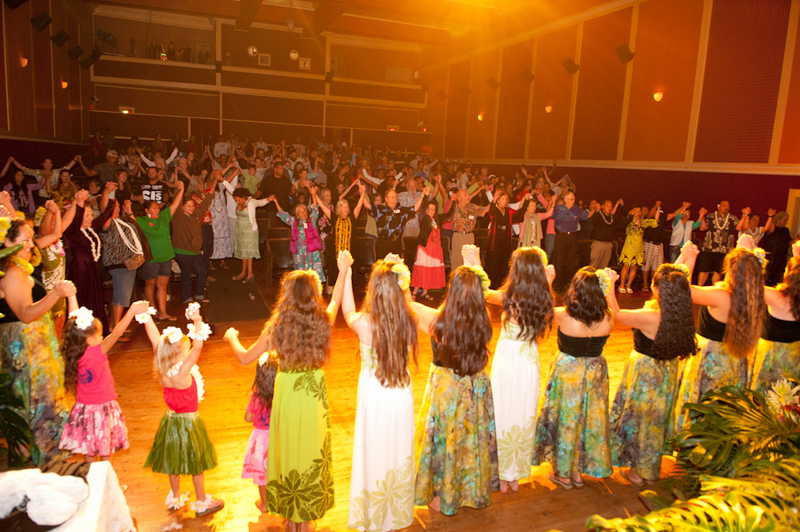 Under the direction of Kumu Hula Haleakala Sakata, they were called back for a hana hou which brought the evening’s dancing to a very graceful close. 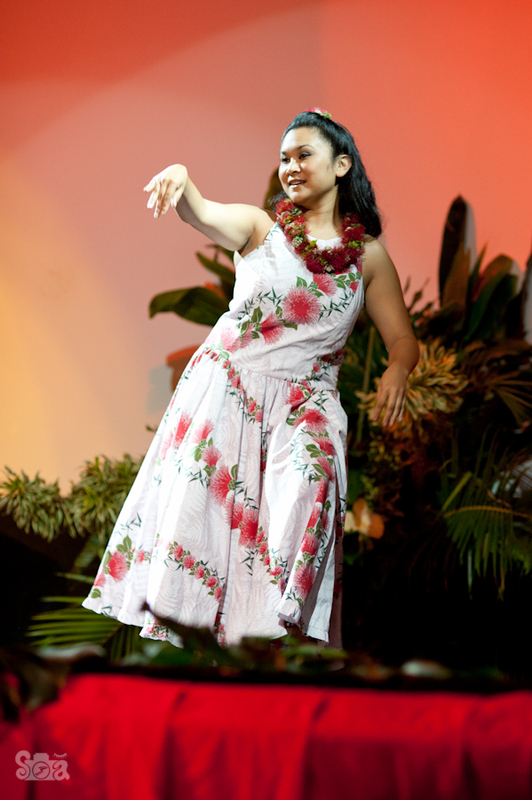 And then, for the perfect finish, Lanakila Mangauil led the entire audience and dancers, holding hands and swaying to the music in a heartfelt rendition of Hawaii Pono’ i.
Helele’i Pua O Waipi’o were among four local halau that danced at the Honoka’a Youth Center’s Hula Festival fundraiser at the People’s Theatre last Saturday along with Halau O Po’ohala with Kumu Hula Hulali Covington, Halau Na Lei Punahele under the direction of Punahele Andrade and students from the Hawaiian Studies program at Honoka’a School with Makua Lanakila Mangauil. 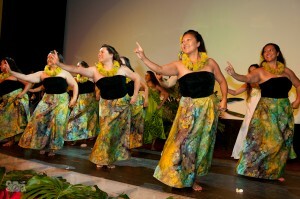 Soloists included Honoka’a’s own Aloha Delarosa, Grace Walker, Mahealani Maikui and Grace Gonzales. 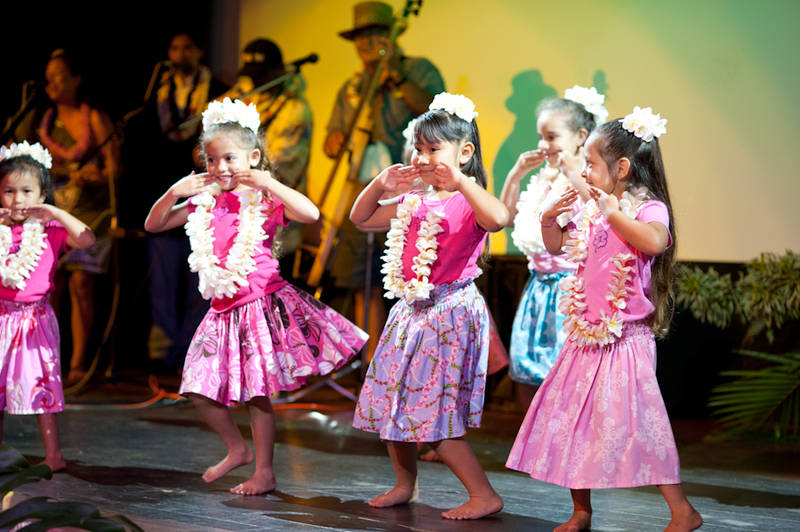 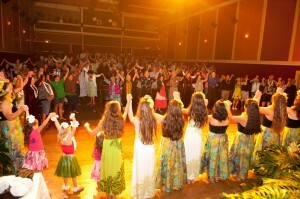 The keiki were irresistible – girls and boys owned the stage with with smiles and plumeria and the promise of a bright future. What a treat to photograph!